We are approaching the end of this series of memories. There are very few things left to touch upon before we come to present day. We're still not through yet, though! Now it is time for Part 5: Change the System, or It's Thinking. I had reserved the Nintendo 64 from Electronics Boutique well before I even saw what it really offered based solely off of Killer Instinct in the arcade. If the system had games that looked as good as Killer Instinct did, it was sure to be the greatest game console ever. "Available for your home in 1995, only on Nintendo Ultra 64!" Well, 1995 came and went, and it wasn't until late September of 1996 that the then renamed Nintendo 64 actually showed up. One of the best games the system has to offer! I originally played Super Mario 64 in a demo kiosk at Toys "R" Us. I grabbed the controller, holding it the wrong way as I recall, and tried to wrap my mind around the new technology. The analog stick was like nothing I had ever seen or used before, and I found myself very agitated when I couldn't get the hang of it. Of course, holding it the way I was holding it didn't help much. 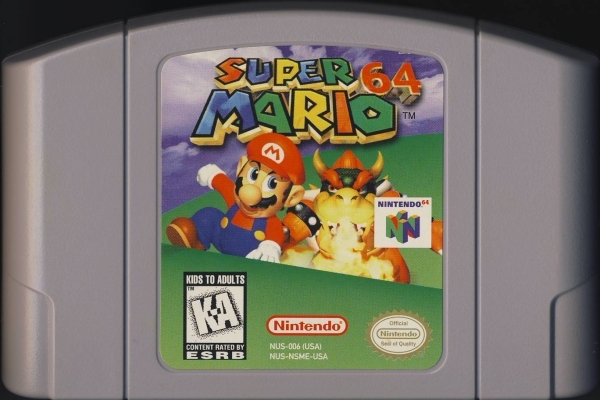 Even though I was absolutely awful at Super Mario 64, it was still an extremely impressive game. When my mom went to pick up my pre-ordered system and Super Mario 64 at Electronics Boutique, she called the house and and wanted to know if I wanted the other game it launched with, which was Pilotwings 64. I told her no, and in retrospect, it's a a very odd thing that I turned down getting a game as a kid. I guess I just really didn't want it and didn't want to waste my parents' money. So Super Mario 64 is all I had for a few months, but it was more than enough to keep me entertained. The second game I got for the system was Cruis'n USA, which was a Christmas present I really wanted as that was the other "Nintendo Ultra 64" game I saw in arcades. I've never been much of a racing fan, but I really wanted that game. After that, the third game I got was Doom 64 as a late birthday present. I was, and still am, a huge fan of Doom, so it was natural that I would want this game. If you recall, Doom was one of three games I had on PlayStation, too. It was also around this time that the aforementioned PlayStation for Sega CD trade occured. Then for Christmas of 1997 I got Diddy Kong Racing, which now that I think about it, maybe I liked racing games more than I thought. So quickly, let's take a step back and let some of this sink in. September of 1996 I got the console and Super Mario 64. For Christmas that year, I got Cruis'n USA. I got Doom 64 as a late birthday gift in March of 1997. Then that Christmas I got Diddy Kong Racing. At that point, after owning the console for over a year, I only owned four games. I can't imagine now owning a system for that long and only owning four games for it, not wanting anything else for it, and still thinking it was a great console. I dont think there was ever a time when I owned the Nintendo 64 that I felt like I was missing out on the games Sony was offering on their system. It might have been me just being loyal to my console of choice, or it might have been that I was still angry towards the PlayStation and let that blind me from the quality software that it actually had. It's really hard to say. Regardless, my library of Nintendo 64 games grew to a pretty decent size, and I'm fairly confident that today I own almost every worthwhile game for the system. My decline of love for the Nintendo 64 happened very fast. I can tell you the exact moment I was done with the Nintendo 64: When I bought my Dreamcast. Sega's little console that could completely floored me with the quality titles it had. I played the demo disc it came with and saw how sharp and clean the graphics in Sonic Adventure were, and from that moment on I couldn't stand looking at the dark and muddy graphics on the Nintendo 64. I tried to love it after my Dreamcast sessions, but I was unable to. Christmas of 1999 was the last year I ever got any Nintendo 64 games for full retail price. I was done with it. Even the games I got for Christmas that year I almost couldn't even stand to play. Nintendo 64, to me, was dead. I began working at Toys "R" Us in October of 1999, and it was my first job. The concept of having my own money to buy whatever I wanted excited me, and it was at this time that my video game buying frenzy really took off. Still having absolutely no love for the Sony PlayStation after the Sega CD fiasco, and having no interest in the upcoming PlayStation 2 because of it, I began to ponder the possibilities of the Dreamcast. Eventually, the price of the Sega Dreamcast dropped to $150, and I saw no reason why I shouldn't own one. I could afford it, and I had 100% disposable income. Soon, I was a proud owner. Sega Dreamcast was the first console I ever bought with my own money. Up until that point, every system I had ever owned was given to me as a present. I felt a little sense of pride at the time knowing that I had earned the system, and it wasn't long until I started accumulating a lot of games for it. The original goal was to fill out the collection so that each genre was represented equally. I started off with Jet Grind Radio and Worms: Armageddon, and the third game I bought was the puzzler Bust-a-Move 4. I bought games here and there that I was interested in, and soon I had a very solid and varied collection of games for the system. Not long after I bought the Dreamcast, the price dropped again. I still had my receipt from when I bought it, and I was still within the return policy, so I took the receipt in and got $50 credit which I used to buy Skies of Arcadia. I hadn't experienced a 3D RPG yet and I was amazed at how great the game looked and played. However, I eventually lost interest in it at some point and started playing the other Dreamcast games I was buying. Looking at it now, this might be the point where I started buying more games than I could handle. 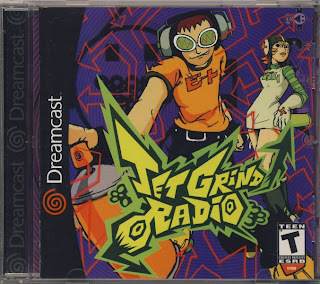 The best RPG on the Dreamcast? I think so! 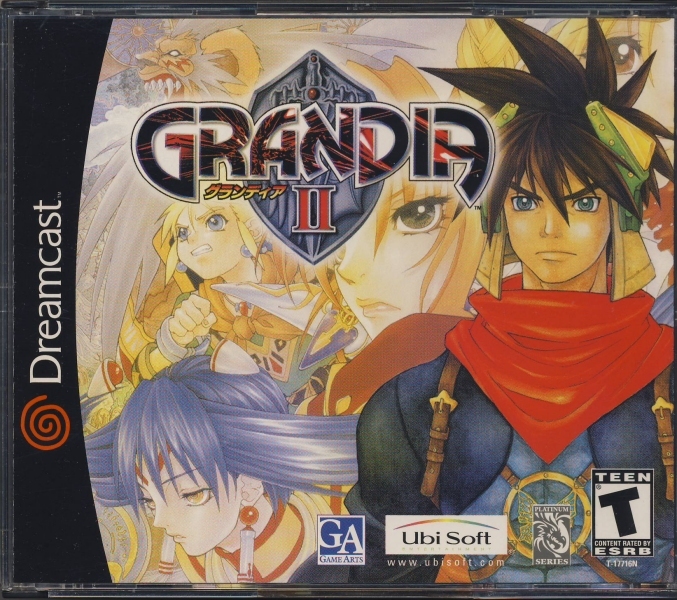 Eventually I bought another RPG called Grandia 2. I bought it on a whim because it came with a soundtrack CD. In fact, I remember sitting in the break room at work reading a magazine which compared Grandia 2 and Skies of Arcadia. Their comparison is what initially led me to my purchase of Skies over Grandia, and although I am glad I own both, I felt Grandia was clearly the superior game once I played it. I got it home, put it in, and was immediately taken with it. Still to this day, that game is among my top RPGs for all systems. A few games have come close to matching it, and even fewer have surpassed it. Grandia 2 is far and away my favorite game on the Dreamcast. Eventually I began to experience a phenomenon I had never experienced before: The "got to have it" collecting mentality. Street Fighter Alpha 3 was one of the first games I bought for the system, and it wasn't long before I had to have Street Fighter 3: Third Strike. But then, why not get Street Fighter 3: Double Impact while I'm at it? Collecting games for non-retro consoles for me began with the Dreamcast. I started buying games just to add to or complete series, and soon any game that even looked remotely interesting found its way into my collection of games. Eventually, all the Dreamcast games at Toys "R" Us were clearanced out for a mere $2.00 each, and I bought a copy of every game that I didn't own. The system died prematurely due to people preparing for the imminent arrival of Sony's PlayStation 2 system. Being in retail and talking to people about games, one of the things that blew my mind to hear was that, even before PlayStation 2 came out, people were already set that they were going to buy one and that it was going to be just as good if not better than the PSone. I don't know why this surprised me, as I did the same thing before the Nintendo 64 came out. Eventually their predictions would come true, but definitely not immediately. It took quite a while for me to jump on board with PlayStation 2, and up until I did, I didn't understand why people praised it so much and trashed the Dreamcast. Very soon after the PlayStation 2 came out, the Dreamcast faded away into the background with few games trickling out, and then it was gone. I still shake my head when I hear people speak ill about the Dreamcast. It doesn't deserve that. I'm almost done with these, I swear.